Home>Law Info>Wills and Estates>What Happens When An Estate Is Insolvent? 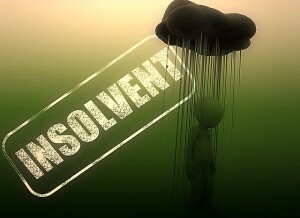 What happens when an Estate is insolvent in NSW? When a person dies it is the duty of the Executor named in their Will (or appointed by the Court if the deceased did not leave a Will), to gather in the assets of the deceased Estate and arrange for the payment of any liabilities of the deceased Estate. This situation and the effect of having an insolvent Estate is dealt with in the NSW Probate and Administration Act. The Act states that where a deceased Estate is insolvent, then the real and personal property in the deceased Estate will be administered in accordance with the Act. The Act sets out the order in which the debts of the deceased are to be paid. The first expenses that will be paid as a priority are the funeral, testamentary and administration expenses of the Estate. Once these expenses have been paid the remainder of the debts of the Estate will be paid in accordance with the rules of priority set out in the Bankruptcy Act. If you are a creditor of a deceased Estate it is important to be aware of the priority of the money you are owed from the deceased Estate and whether you will receive money from the deceased Estate to pay your debt. It is equally important if you are the beneficiary of a deceased Estate that is insolvent, to understand whether any of the assets of the deceased Estate are immune from the insolvent Estate and therefore able to be passed to the beneficiaries. Generally, the deceased’s superannuation and any life insurance policies will not form part of the deceased Estate, so cannot be used to pay the debts of the deceased Estate. If you are the beneficiary of a deceased Estate and you believe you have an entitlement to receive the deceased’s superannuation, or life insurance then you need to seek expert legal advice from a Wills and Estates Lawyer. Graeme Heckenberg is an expert Wills & Estates lawyer and guides and advises clients on a wide range of Wills and Estate matters, including insolvent deceased Estates and the impact this can have on your inheritance. If you are living on the Northern Beaches and surrounding Peninsula and need expert advice call The Northern Beaches Lawyer today for an appointment close to home.